Texas has set an execution date of December 3, 2014 for Scott Panetti, a death row inmate with schizophrenia and schizoaffective disorder. Panetti represented himself at trial dressed in a cowboy outfit, and attempted to subpoena Jesus Christ and the pope, among many others. Inmates who are ruled insane are ineligible for execution, but Texas officials argue Panetti can be put to death because he sees some connection between his crime and his execution. In 2007, the U.S. Supreme Court blocked Panetti's execution and determined that Texas had not considered Panetti's long history of mental illness in evaluating his competency, sending the case back for further review. The lower courts again found Panetti competent, and in October the Court denied a request for reconsideration of Panetti's case. Greg Wiercioch, one of Panetti’s attorneys, remarked, “Scott Panetti is not competent for execution and therefore his execution would serve no retributive purpose. It is unfortunate that an execution date has been set. His execution would be a miserable spectacle.” Prominent national mental health experts have called for a halt to the execution. Texas has recently been setting execution dates in 2015, but Panetti's date was pushed ahead of others. 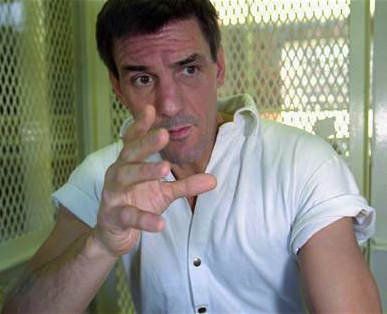 (T. Dart, "Texas sets execution date for mentally ill killer Scott Panetti," The Guardian, October 30, 2014). See Mental Illness (sidebar) for further information about Panetti, including a video summary of his case from the Texas Defender Service. See also Supreme Court.